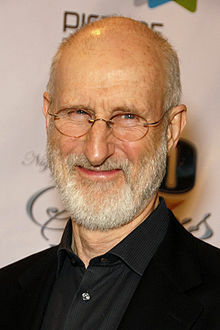 James Oliver Cromwell (born January 27, 1940) is an American actor and producer. Making the movie Babe opened my eyes to the intelligence and the inquisitive personalities of pigs. These highly social animals possess an amazing capacity for love, joy and sorrow that makes them remarkably similar to our beloved canine and feline friends. Until men learn to celebrate and operate on the feminine aspect of themselves and stop the oppression of women, children, the environment, other species, we don’t have a world to live in. It’s not a world that anyone chooses to live in. [Babe] also inspired me to become vegan. After having worked all morning with these extraordinary animals, I'd see their relatives on the lunch table. They had ham and duck, every animal except horse. That's when I said, "I've got to try to be a vegan." And for the most part, I have been vegan since 1994. [You were vegetarian before Babe. What inspired that change?] I rode across the country on a motorcycle in 1975. I remember it was the worst time of year and bloody cold. When I was going through Texas, I went through the feedlots, which I had never seen before. It was a very sobering sight—heartbreaking and awful. It's a corporate system completely out of touch with what is sustainable, what is humane, what is compassionate. At the time, I didn't even know what a vegetarian was. I just thought, "I can't eat [animals] anymore." This page was last edited on 4 September 2018, at 18:15.